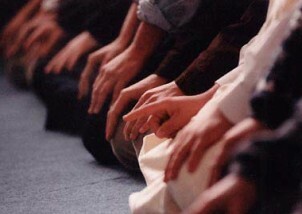 As Muslim Americans and millions around the world celebrate the end of Ramadan 2010 what will they pray for? What was the spiritual harvest of the month of fasting, prayer, deep reflection, and discipline? Given the growing hostility directed towards Muslims in the United States and the horrible deeds perpetrated by persons aligned to Islam on 9/11 and elsewhere in the world, I for my part, will be making two prayers. My second prayer is that God bless Islam with a religious leadership that has a modicum of Solomonic wisdom and tons of moral courage. Why these two prayers? I think many Muslims have forgotten the message of humanism and solidarity with all creation that are the cornerstones of Islam. All servants of God are part of a single family, the Prophet Muhammad taught. So how can faiths be at war, if only to serve earthly gods? Many of our religious leaders have forgotten that our theologies, teachings, and practices were means to serve a transcendent Creator; not for idolatrous ends. Many of the most prominent Muslim religious and moral authorities the world over—clergy, intellectuals, scholars, politicians—have, through silence and inaction, invited a plague of craven violence on a number of Muslim societies. In a manner of speaking, in many places, the asylum is in charge of the mosque. Religious leaders are more interested in cowing to public adulation through demagoguery than in showing courage and exhorting people to piety and sanity. Check if the sermon in the`Id al-Fitr (End of Fasting) sermon at your mosque hinted at the cowardly acts of al-Qaeda who killed thousands on September 11 and elsewhere. Or if deeds of the Somalian Shabab who killed dozens of Ugandans watching a soccer World Cup match in the suburbs of Kampala caused outrage. Has anyone been able to keep track of the death toll inflicted in Pakistan by Taliban suicide bombers, who most recently killed more than 60 people in Quetta because they were Shi’a? Did anyone even notice that a radical Muslim group in India chopped off the hand of a Catholic professor in the state of Kerala in July for apparently offending the image of the Prophet Muhammad in an exam questionnaire? `Id is a day of celebration with family and friends. But it is unconscionable if Muslims do not think seriously and act in unison about the deep moral crises afflicting our communities here and abroad. To think critically is not to bow to the hate of the Islamophobes, it is a sign of strength and faith. Those who claim that there are no “moderate” Muslim voices denouncing acts of violence committed by Muslims are wrong, and yes, there are many good things happening in Muslim societies that do not make the headlines. Yet it is delusional to think that the evil masquerading as faith does not erode the belief and values each Muslim. To Muslim Americans I say, next time you wonder why young men like the Times Square bomber Faisal Shahzad become entangled in conspiracies to commit acts of violence in this country and abroad please ask the following questions: What is the qualification of the imam at your mosque? Is he enriched by the best of American and Islamic culture, in tune with his environment, or is he preaching a theology no longer even appropriate for people in Iran, Egypt, or Pakistan? Does he teach the tradition creatively and help people think imaginatively? Or does he focus on impieties and promote the virtues of paraphernalia like the dress code and the mandatory length of facial hairs? If the imam is as wise as the religious leader in the Canadian sitcom Little Mosque on the Prairie, it will be a huge step up. Mosque committees share their burden of responsibility too. Often they appoint preachers by applying the lowest and cheapest standard; theological diversity is frequently absent and enlightened thinking is considered too challenging and burdensome for them to contemplate. Will the smart Muslims in America and around the world stand up and be counted? -Originally printed on Sep 9, 2010 for Religion Dispatches. Ebrahim Moosa is a professor of Islamic Studies at Duke University and an author of several books on Islam.